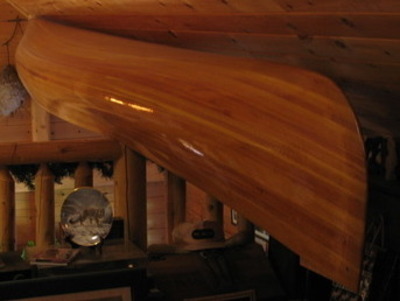 Beautiful 18 foot cedar strip canoe project that needs finishing. Trade for interesting items like firearms, etc but cash offers are best! Small hole drilled into each end for car transport and one hole for lag screw to hang in rafters but all can easily be plugged and all above water line. Easily worth $1500 after it's finished!